The three-week grassroots protest in Egypt that brought down thirty years of autocracy in the land of the pyramids has authoritarian Azerbaijan, among others, worried. Jabbar Savalan, a 20 19-year-old student, was arrested [on his way home from a political meeting and charged with “possessing narcotics with intent to supply”] in Sumgayit, Azerbaijan, after his Facebook status called for a “Day of Rage” in Freedom Square in Baku, echoing the calls for protest in the Middle East. Since Sunday’s controversial presidential election in the ex-Soviet republic of Belarus, where incumbent Alyaksandr Lukashenka pronounced himself the winner, a wave of human rights violations has been hitting opposition voices in the country (like it wasn’t bad enough in the first place). Among the silenced are Nikolai Khalezin and Natalia Kolyada, the founding couple of Belarus Free Theater who – according to The New York Times – “are now in hiding” after the arrest of their colleagues. When my colleague phoned the Embassy of Belarus in Washington D.C. for a response on the Times report, she was told that the Embassy doesn’t comment on foreign newspaper content. – Why have seven of the nine opposition presidential candidates been detained along with as many as 500 peaceful demonstrators, opposition activists, human rights defenders and journalists, many of whom were beaten by riot police? – Why was there no autopsy to investigate the allegedly suicidal death of Aleh Byabebin, founder of the unofficial news website Charter’97, who had just joined the campaign team of presidential candidate Andrei Sannikov (Sannikau)? – And why are candidate Sannikau’s legs broken and why is he not receiving medical care in detention? “A medieval cemetery regarded as one of the wonders of the Caucasus has been erased from the Earth in an act of cultural vandalism likened to the Taleban blowing up the Bamiyan Buddhas in Afghanistan,” reflected the London Times after independent journalist Iddrak Abbasov in ex-Soviet Azerbaijan confirmed in April 2006 that the world’s largest historic Armenian cemetery had vanished. Satellite data showing the Djulfa cemetery partly destroyed in 2003 (left) and “graded flat” by 2009 (right); read the complete study on the AAAS website. Five years ago this month an ancient cemetery in a remote region of southerwestern Azerbaijan was wiped off the face of the earth. The unique and intricately carved tombstones of the cemetery known as khachkars, literally cross-stones in Armenian (the craftsmanship of which is a UNESCO Intangible Heritage tradition), were seen as the latest victims of the Armenian-Azerbaijani conflict materialized in the early 1990s war over the region of Nagorno-Karabakh. But their destruction was also a broader violation of human rights – not only against ethnic Armenians but all citizens of Azerbaijan who were denied a chance to explore and appreciate an often inconvenient history. While the Karabakh war, ceased in 1994, destroyed thousands of lives and damaged cultural monuments on both sides (each side equally denying their own responsibility in the casualties), the destruction of the Djulfa cemetery in December 2005 was unique because it took place after the war in a region called Naxçivan (or Nakhichevan) where no skirmishes had taken place (and where ethnic Armenians live no longer). The deliberate destruction of Djulfa was more like a war against history: a calculated act of ruling out a future return of the Armenian heritage by denying its indigenous existence in the first place. While we are all glad that Adnan and Emin are free, there is more justice to be done: their conviction must be overturned – not quietly or on humanitarian grounds but for human rights and democracy. Azerbaijan: Both 'Donkey Bloggers' Are Free! It is rare to have back-to-back good news on human rights from Azerbaijan. This week is an exception, though. Remember how the Amnesty International USA intern, born in Azerbaijan, shared her happy tears with us about her friend Adnan Hajizade’s release yesterday? 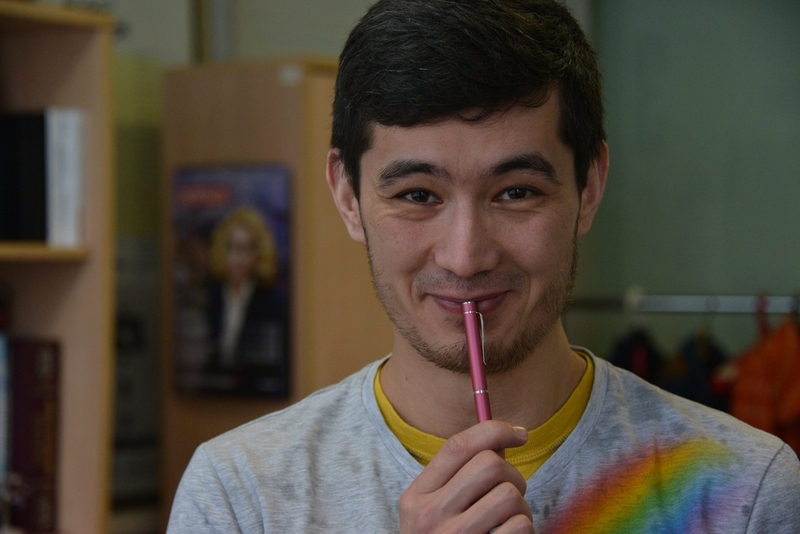 Well, there is more cause for celebration – Adnan’s colleague and fellow digital dissenter and prisoner of conscience Emin Abdullayev Milli is also a free man. While Adnan’s and Emin’s release is great news, Azerbaijan has a long way to come clean with the oppression of dissenters, including that of the ‘Donkey bloggers.’ The young bloggers’ fabricated conviction of hooliganism (which was actually for a YouTube video in donkey-suit mocking corruption in Azerbaijan), for one, must be overturned. 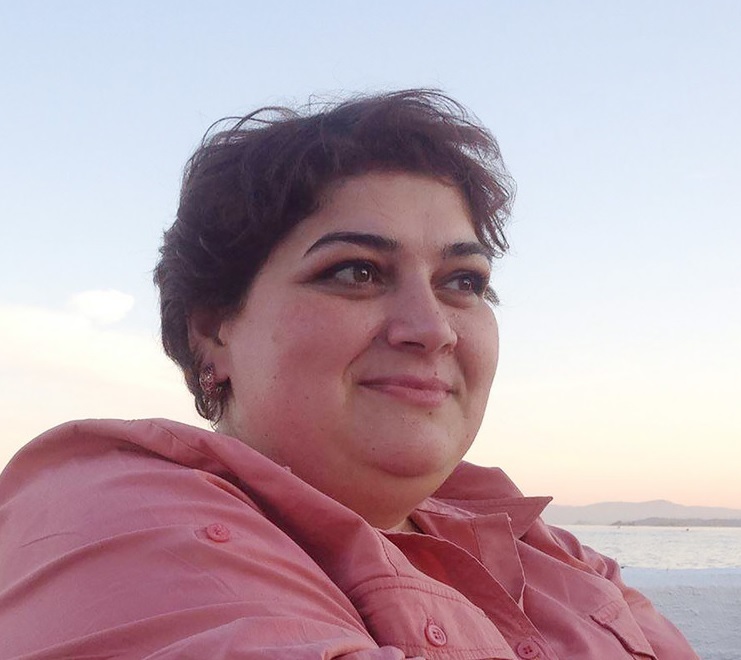 And, most urgently, Azerbaijan must release imprisoned journalist and human rights defender (I would also add, peace activist) Eynulla Fatullayev. Azerbaijan: Blogger and Prisoner of Conscience Released! I am from Azerbaijan and the main reason behind my choosing to do internship at Amnesty was that my two friends – Adnan Hajizada and Emin Milli had been prisoned last year because they had criticized the government and Amnesty was one of the few organizations, which did research on them and called them ‘prisoners of conscience.’ So, I have wonderful news!!! Adnan Hajizada was released from prison today! So I thought I should share these great news with you and it’s worth sharing it with all the activists, who have been taking actions in this case. I am just happy to tears and I pray for each prisoner of conscience to be freed just like this. While this is positive news, Adnan’s fellow digital dissenter Emin Milli is still in prison. So is Eynulla Fatullayev who remains in prison despite a reluctant Azerbaijani Supreme Court dropping most of the fabricated charges against him this week. Thank you for taking action for Adnan. UPDATE: Emin is also free!! !